I will update you on my Bella Skill Builder project each month, on the first or very close to it. 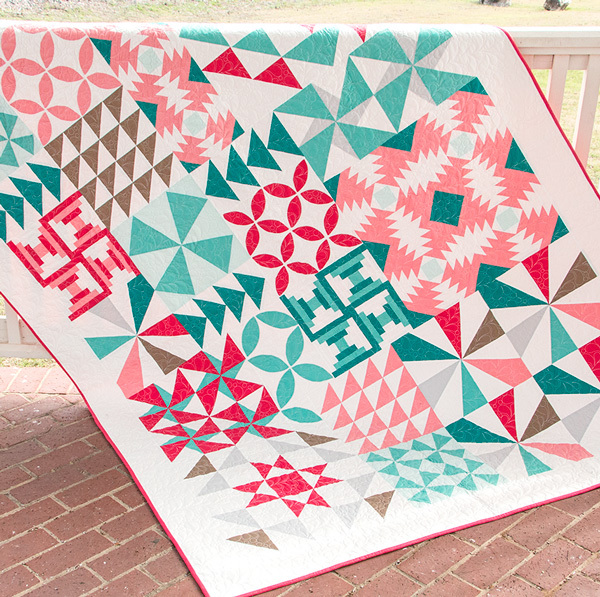 This is a free block of the month from the Fat Quarter Shop. I am loving this pattern and I went ahead last month and ordered a bunch of Bella Solid fabric. 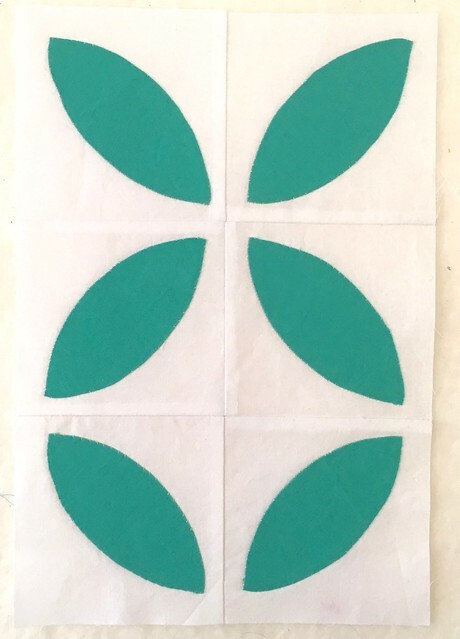 I decided, this time, to stick to the colours selected by the designer, Sherri McConnel, because they are exactly the colours I want to be using for this project. The March blocks are Orange Peel Blocks. There are three to do and I have finished the first one, which is 8.5" x 12.5". I am working away on the other two March Orange Peel blocks - each of which has 12 of the orange peel units. The free pattern invites you to appliqué the orange peels using your preferred method. 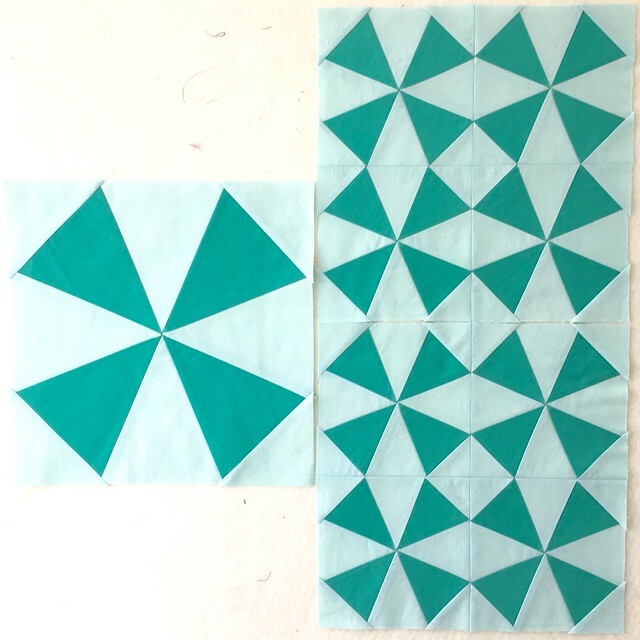 The Fat Quarter Shop has an excellent video for machine appliqué of these blocks here. However, I decided this was an opportunity to practice my hand appliqué. This is a peaceful project, which can also travel with me, and I expect to finish these blocks over the course of this month. I also re-made the Block 1, February Kaleidoscope blocks using the lighter Ice colour for the background. There is a video about how to make this block as well from the Fat Quarter Shop, here. I really love the teal on teal, and will try to use that again soon. 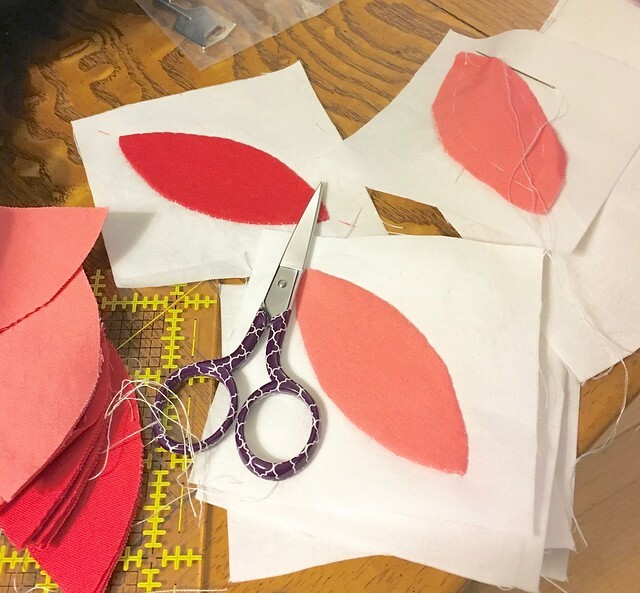 You can read all about the Bella Skill Builder and check in on the progress of the other bloggers sewing along by going here to the Fat Quarter Shop's Jolly Jabber Blog. Maybe you will decide to sew along too, watch for an update next month. Your orange peel blocks are looking great! Great hand applique'! It's going to be a beautiful quilt! March Scraptastic Tuesday - the link is open!